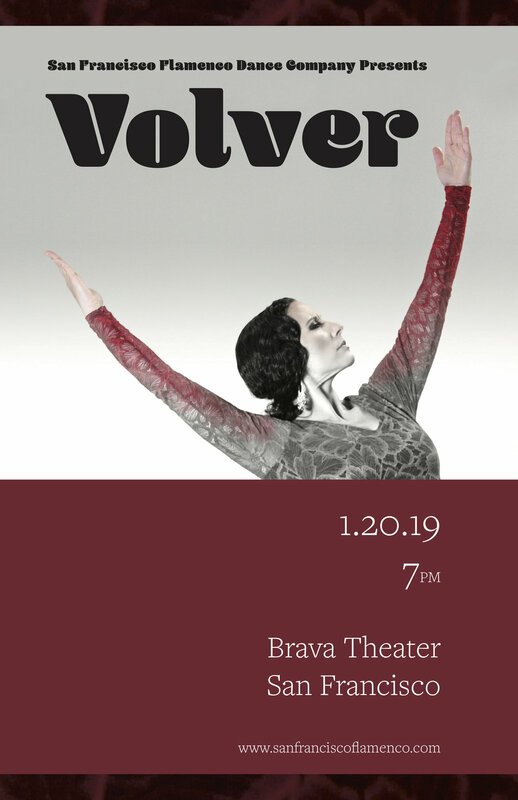 Volver is a celebration of the poetic heart of flamenco: the music of the first cry, the first kiss, a call to prayer, the heart’s lament, the joy of living. The poetry of Leonard Cohen, Federico Garcia Lorca, Rumi and Cecilia Woloch is put to the soulful song of Flamenco. From Spain, the Middle East and the US, performers interpret the fierce, sensual, heartbreaking and joyful aspects of human experience that unite us all. Volver returns to the Moorish roots of flamenco with a first-time collaboration between master musicians Amir-John Haddad and Ali Paris, Syrian percussionist Faisal Zedan, and gypsy flamenco singer José Cortés. These internationally renowned musicians create a stunning score for the San Francisco Flamenco Dance Company’s original choreography. Amir-John Haddad (Musical Direction/ Guitar/Buzuki/Oud) is a multi-instrumentalist and composer widely regarded as one of the best flamenco guitarists practicing today. 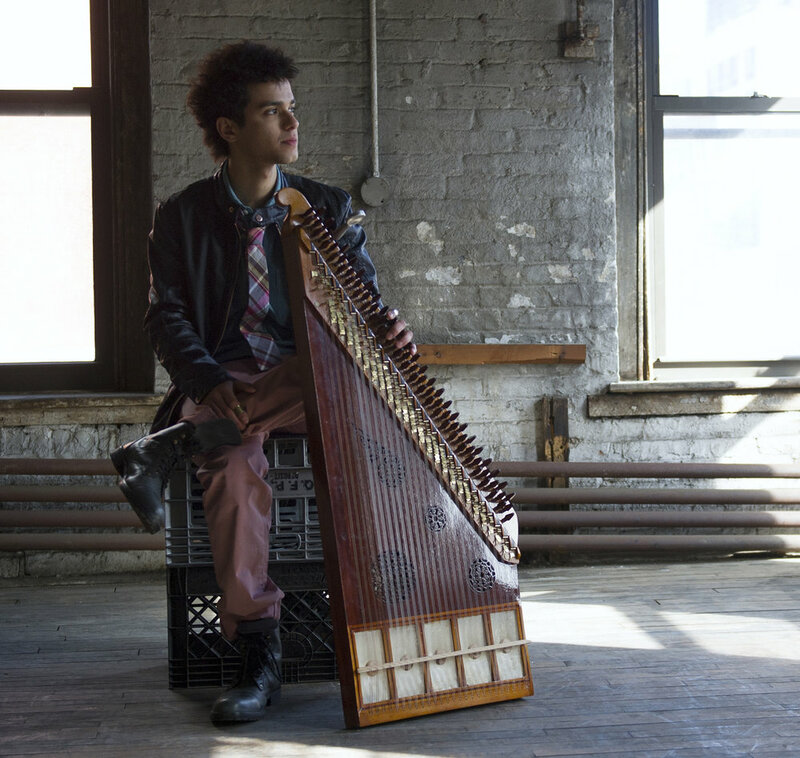 Amir began playing the Arabic oud with his father and by eight years old began studying flamenco guitar. In 1997 at age 22 he relocated to Andalucia, birthplace of flamenco, to further his studies. Soon after, Amir moved to Madrid where he began working with some of the most prominent Spanish flamenco companies. He was a member of legendary group Radio Tarifa with whom he performed and toured for over ten years. Amir has released two solo guitar albums and two albums with his quartet ZooBazaar. He has collaborated on over a dozen more recordings, two of which were nominated for Latin Grammy awards. Amir has performed in major festivals all over the world, most recently he was invited to present a concert with his flamenco sextet at the prestigious Córdoba Guitar Festival in Córdoba, Spain. Ali Paris (Qanun/Vocals) captivates audiences worldwide with his unique fusion of Middle Eastern and Western music styles highlighted by both technical virtuosity and emotional expression. Ali’s music education began at the age of 5 in his native countries of Morocco and Palestine, studying Arabic traditional music with master Simon Shaheen. He quickly became known as a child prodigy, performing great concert halls by age 9 and touring internationally by the age of 11. Since then he has received multiple international awards and has expanded his musical career exponentially, relocating to the United States to earn his degree at Boston’s prestigious Berklee College of Music. He has collaborated with a long list of world-renowned artists such as Alicia Keys, Quincy Jones, Paco De Lucia and Bobby McFerrin. His solo performances have reached diverse audiences from the Newport and Istanbul Jazz Festivals to the White House and the Royal Palace in Jordan. He has appeared as a soloist with the Boston Symphony Orchestra, the Michigan Philharmonic and is featured in the renowned Grammy-winning Spanish documentary Entre2aguas. 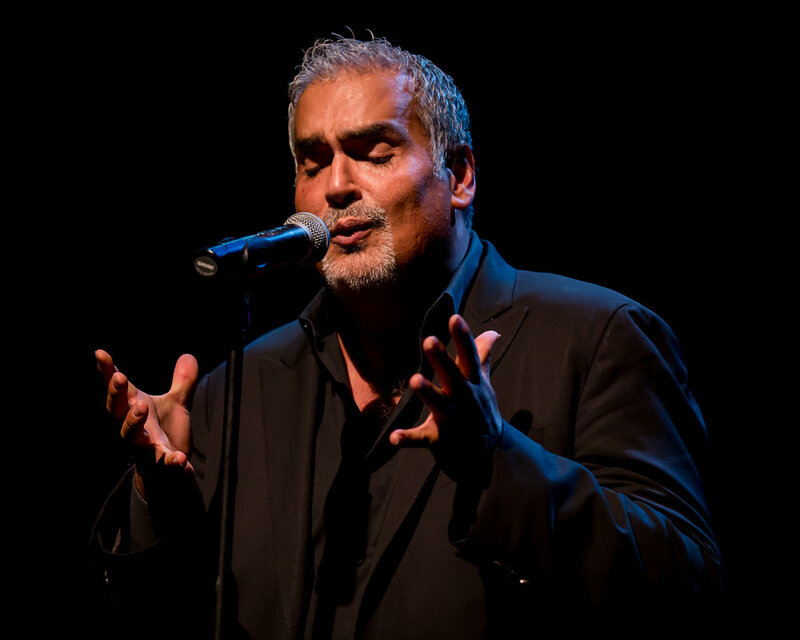 José Cortés (Vocalist - Cantaor) hails from a renowned Spanish gypsy Flamenco family. His singing career began at age 10 in Jerez de la Frontera where he won first place in the Youth Competition of Flamenco Singers. In his formative years, he was deeply influenced by his mentor, the great Flamenco singer, Camarón de la Isla. José has been performing and touring internationally for 30 years and has performed in prestigious international Flamenco festivals like Nimes and Mont de Marsan, and with many of the world’s most accomplished Flamenco artists. José has twice been nominated for an Isadora Duncan Dance Award for musical excellence in dance accompaniment. Faisal Zedan (Percussion), born in Beirut, Lebanon and raised in Oum Dbaib, Syria, grew up impassioned with the Derbakki drum. At 15, he embarked on a journey of learning through exposure to a wide repertoire of Arabic classical and contemporary music. A great love for the drumming and years of practice resulted in a mastery of Arabic percussion instruments. Arriving in California in 1992, Faisal met UCLA's noted ethnomusicology professor Dr. Ali Jihad Racy and, at his invitation, joined the acclaimed UCLA Near East Music Ensemble. This was the beginning of an international musical career dedicated to the transformative power of rhythm. Faisal is currently based in the San Francisco Bay Area, and works regularly as a performer, collaborator and teacher. Melissa Cruz is a Bay Area-based flamenco choreographer, dancer and instructor who began her professional career in the company of Rosa Montoya. Apart from frequently performing in theatrical presentations, she teaches a full schedule of classes and presents her apprentice dance repertory group. Melissa performs and tours as the dancer and percussionist for the band LoCura. She recently served as Adjunct Dance Faculty at the University of San Francisco. Melissa has performed as a soloist in the San Francisco International Arts Festival in 2012 and 2016 and has presented in eight San Francisco Ethnic Dance Festivals. Currently, she is principal dancer and choreographer for the San Francisco Flamenco Dance Company. Manuel Gutierrez (Guest Dancer/Choreographer) began his training in Córdoba. By the age of 8, he won his first Flamenco dance award. By age 20, he began producing works and dancing across Europe with legendary artists including Duquende, Chicuelo, Juan Carmona, and Chispa Negra. As a choreographer Manuel’s work in Romancero Gitano & Barrio Flamenco has been internationally recognized. He has choreographed many works for stage and TV including El Emigrante, a moving tribute to Spanish immigrants in the post-war period. His recent work Flamenco Flamen’ka sold out the Lyric Theatre in London and ran for 5 years in Great Britain and France. His powerful, explosive presence on stage and his dynamic choreography have made him a sought after artist internationally. Daniel Fries (Bass) Although his mother's recent "23 and me" test finally revealed he does indeed have a legitimate claim to Spanish ancestry, San Francisco native and "exceptional musician" (-Allan Ulrich SF Chronicle) Daniel Fries prefers to think of himself as a "FlamenGiri" or Fakemenco artist - and has been letting down previously thrilled audiences with this information for over 20 years, internationally and locally. His first instrument was bass, and he's happy to have the opportunity to take the cultural appropriation one step further by introducing Ukelele Bass to the genre. In addition to his solo material and studio recordings, he plays regularly with his live trio, Trio Paz around the San Francisco Bay Area. When he's not playing music or raising children, he might be found pushing small to medium sized boulders uphill, or patiently listening to someone lecture him on his likely future in comedy. Bianca Rodriguez (Dacncer) began dancing Clásico Español and Ballet at the age of 3 in Laredo, Texas with Mina Gutierrez. She learned Sevillanas at age 7 from Cristina and Jose Greco II. Bianca received a degree in flamenco dance from the University of New Mexico under the direction of Eva Encinias. She performed with the National Institute of Flamenco studying with El Torombo, Karime Amaya, Inmaculada Ortega, and Manuel Liñan. Bianca continued her studies in Sevilla with Juana Amaya, Farruquito, Antonio Canales, and Angelita Vargas. She returned to the US and began working with various companies including Juan Siddi, Antonio Granjero, and Flamenco Vivo. She was first featured as a soloist in "El Pintor" at the National Hispanic Cultural Center. Bianca also began a four year project and toured with "Flamenco India," a twelve-piece band featuring sitar, tabla and Kathak dance, as choreographer and soloist. Kerensa DeMars (Artistic Director/Dancer/Choreographer) is the artistic director of the San Francisco Flamenco Dance Company. Known for her unique synthesis of flamenco and middle eastern dance she has performed internationally at prestigious venues including London's Royal Festival Hall, the Teatro Calderón of Madrid and the Tivoli Theater in Barcelona. Kerensa lived in Spain from 1997-2004 where she trained intensively with some of Spain’s foremost artists. She has served on the Isadora Duncan Dance Awards Committee and has received consecutive choreography commissions (2016, 2018) for major works from the San Francisco Arts Commission. Kerensa is the artistic director of the Flamenco Room, San Francisco’s longest running weekly performance series, now in its sixteenth year.